I hope 2012 has been kind to you all, and I hope that 2013 is even better! I've been reflecting on this past year and I thought I'd share my five most popular posts from 2012 and highlight one of my favorites. 1. 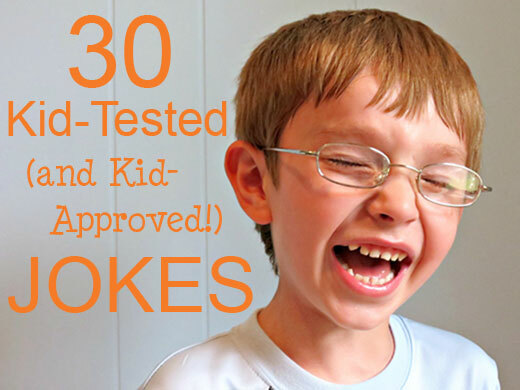 30 Jokes Your Kids Will Love- This is by far my most popular post of all time. This just shows that people love making their kids laugh. I really enjoyed reading all of the fantastic jokes left in the comments, and I hope that this post will bring even more giggles in 2013! 2. 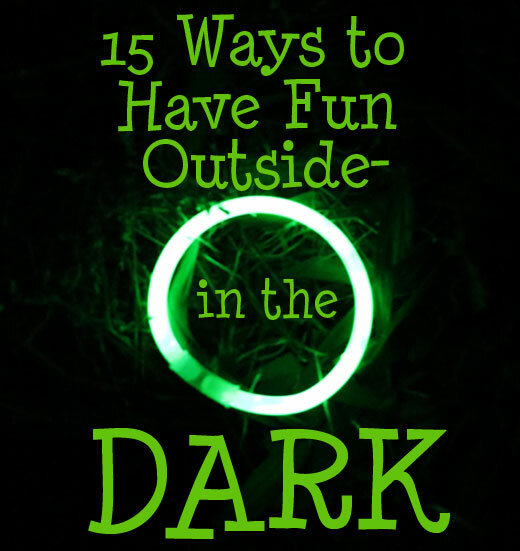 15 Ways to Have Fun Outside- In the Dark- The fun doesn't have to end just because the sun went down! 3. 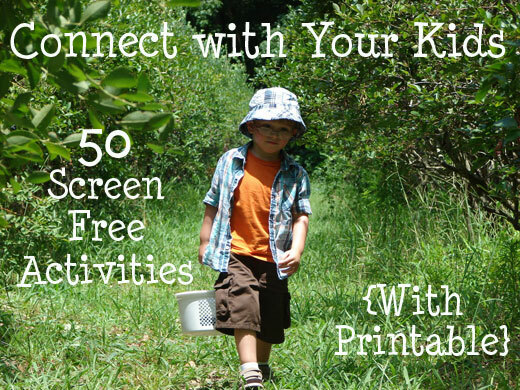 Connect with Your Kids- 50 Screen Free Activities- I loved the Connect with Your Kids series, and people seemed to like this post in particular. 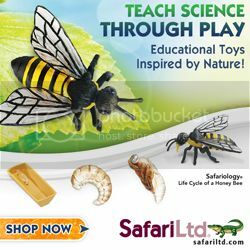 With 50 ideas, you are bound to find something to entertain the family. 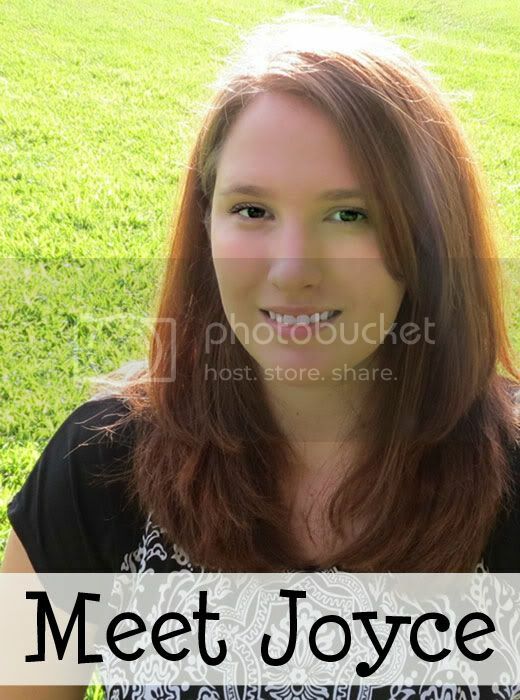 This post even shares a free printable! 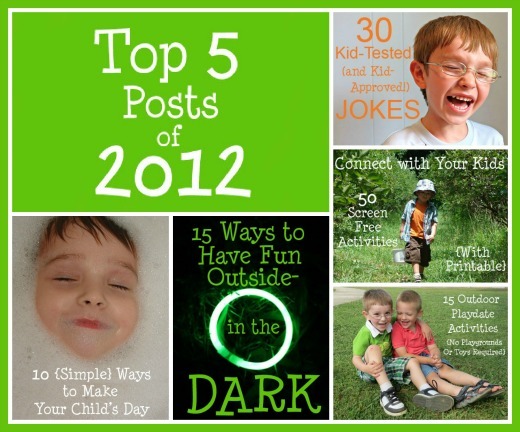 And be sure to look for more Connect with Your Kids posts in 2013! 4. 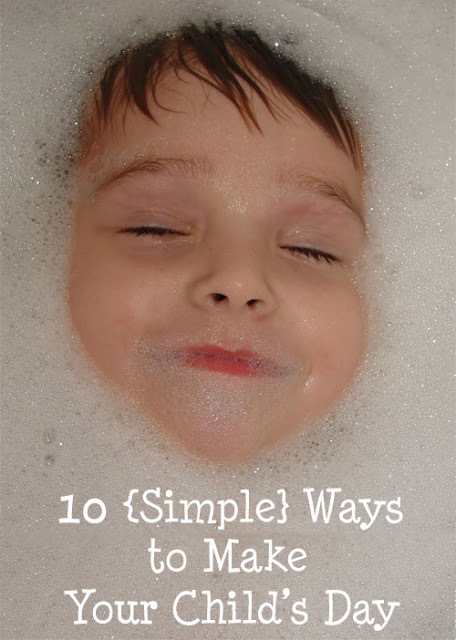 10 Simple Ways to Make Your Child's Day- I revisit this post often because it serves as a great reminder. The little things can really make your child's day, and your own, much brighter. This post shares a few things we do. What are some ways you savor childhood? 5. 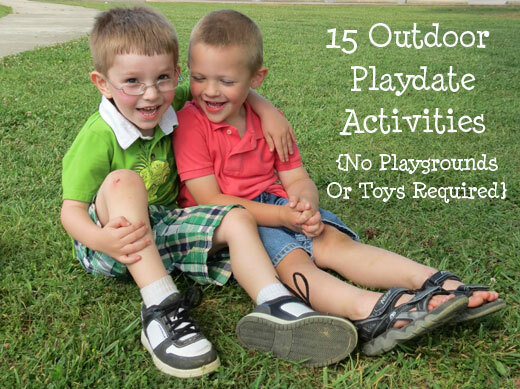 15 Outdoor Playdate Activities- I'm so glad this post made the list because I was very much in love with it. I was in awe as I watched my son and his friend play contently with nothing but their imaginations and each other. And as I look back over the last year, I can't help but think of the milestones we've experienced. One that was extra special for my family was a huge childhood event. 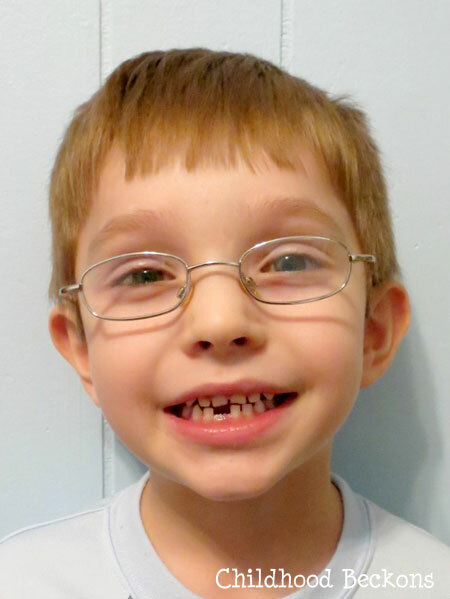 R lost his first tooth! My post, Tooth Traditions, shares how we celebrated this event (along with some emotional rambling) and a few more fun ideas from around the web. Look at all those smiles!